Settlement in the Town of Lima began before Wisconsin became a state. In 1836, the Gibbs brothers were the first permanent settlers in the Town of Lima. They settled in the area now known as Gibbsville. 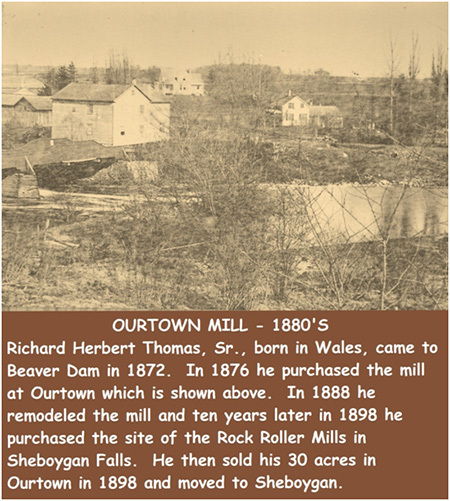 The Town was named Lima, thanks to Hiram Humphrey in 1850, when it separated from Sheboygan Falls. The soil in the Town of Lima was of high interest to early prospectors, as it promised to produce good crops for early settlers. Before 1849, the Town of Lima was called Wakefield and later Wheat Valley. 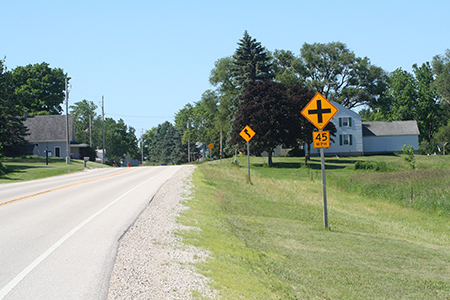 The Town was part of a larger township known as the Town of Gibbsville and a precinct of Sheboygan Falls. However, in 1850, Lima became their own organized town. 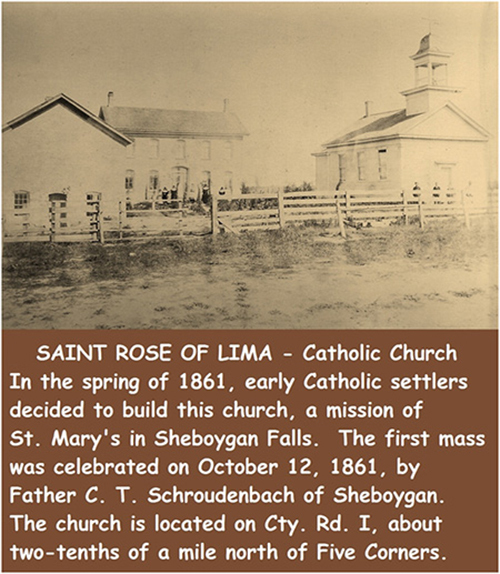 There were many churches and cheese factories built throughout the Town of Lima during the 1800s. At one point, there were 17 cheese factories in the Town. 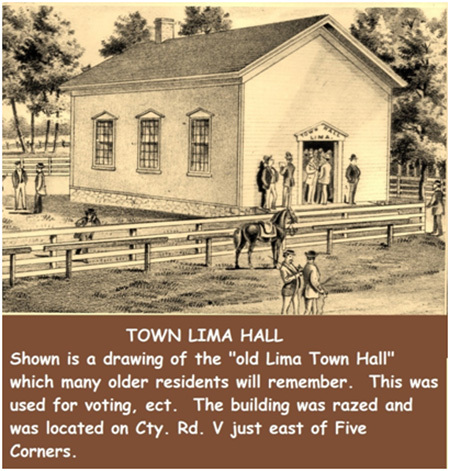 By 1850, the Town of Lima had built seven rural public schools to serve 229 students. Some of the old school buildings have been demolished, while others have been remodeled into homes. 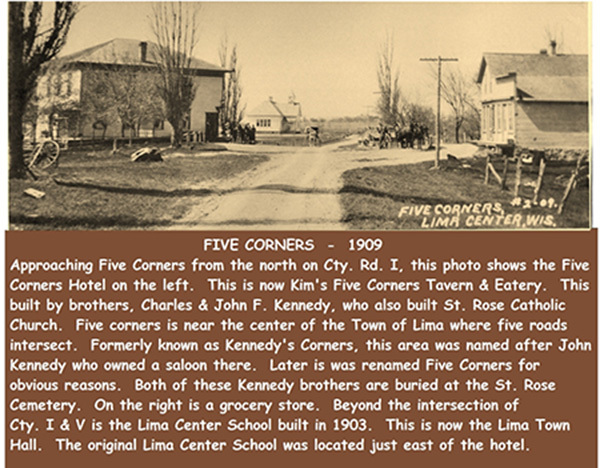 The Lima Center School, at five corners, has become the current Town Hall. posted on State Road 32 by the curve sign until the early 1960’s.